Last month's update to the Google Camera app included several new features, but there's a chance one of those changes may not have agreed with every user. 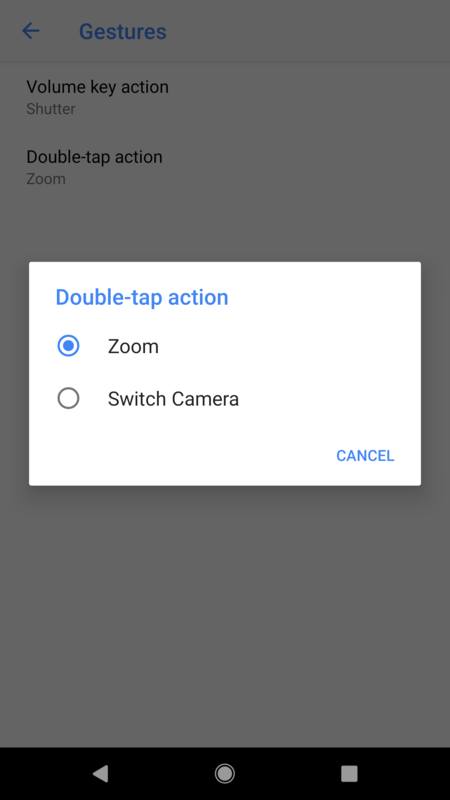 While users were given a new option to remap the double-tap gesture to switch cameras instead of zooming in, it technically cost users the ability to disable the double-tap gesture altogether. A minor update just rolled out that restores this simple alternative. Most users will probably want to leave some kind of functionality attached to the double-tap gesture. 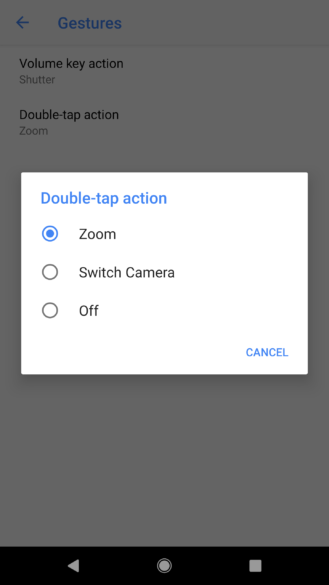 However, if you don't have a use for a shortcut to digital zoom or switching the camera, or you just don't like having unexpected behavior if you happen to tap the screen twice by accident, it makes sense to be able to turn it off entirely. It may be worth noting that with the double-tap gesture disabled, rapid taps won't cause the camera to refocus with each one. The app simply waits until there is a short pause after a tap, then focuses wherever the last tap landed.